SKODA unveiled their new design language in 2014 with the VisionC design study. The brand is now transferring this to the SUV segment. 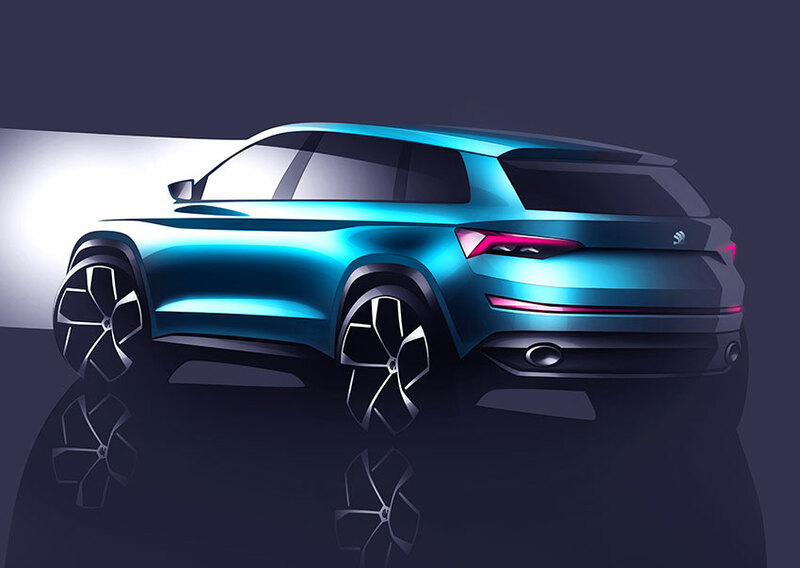 The VisionS (‘S’ stands for SUV) shows how the brand’s future SUV, which will be larger than the successful SKODA Yeti, could look: with a length of 4.70 meters and a width of 1.91 meters, the 1.68-meter-high show car creates an instant presence on the road. Inside, the brand has recreated their classic large interior that has made the brand popular: SKODA’s VisionS features three rows of seats, offering a generous amount of room for six passengers. The exterior design of the SKODA VisionS reflects the brand’s new emotional appeal: All the edges and lines are clear, precise and sharp; crystalline design elements accentuate the exterior. The interplay of light and shadow creates powerful effects on the strikingly chiseled surfaces. The bonnet relies on the creative use of plastics, with contours flowing towards the brand logo. The wide grille and four tapered, high-set LED headlights characterize the face of the show car, emphasizing the vehicle’s SUV character. The logo and the vertical struts in the grill are characterized by crystalline elements – SKODA’s tribute to the Czech art of crystal- glass design. 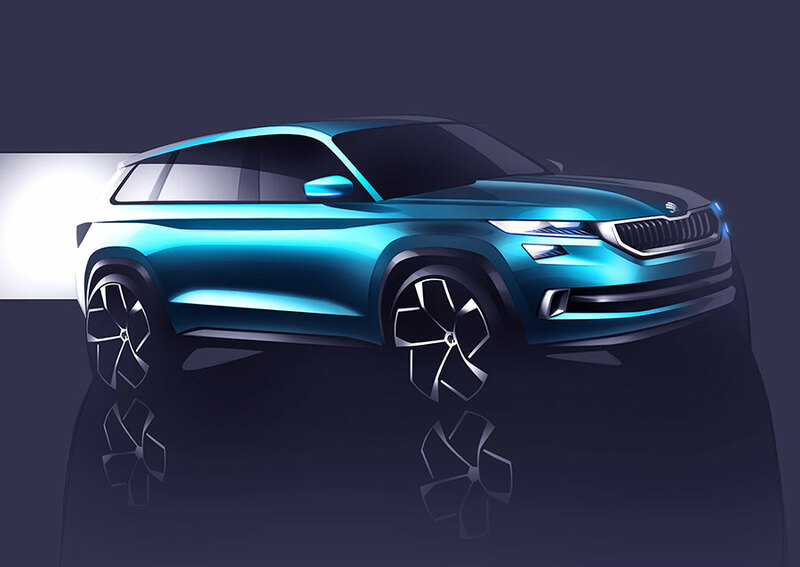 The side view also illustrates the strong SUV character of SKODA’s VisionS. The sharp tornado line spans the entire length of the powerful car body. The wheel arches are angular, emphasizing the off-road character. The upper-shoulder contour forms a deep groove over the sills. The quickly sloping roofline with the long spoiler and drawn-in rear visually accelerate the show car even when stationary. The rear of SKODA’s VisionS has been sculpturally designed. A strong diffuser insert borders the large exhaust pipes, giving the large SUV a visually powerful stance on the road. The SKODA logo and shallow rear lights with dynamically cut crystalline housings sit just beneath the low rear window. The C-graphic – characteristic of ŠKODA, beginning at the rear lights – runs into the flat reflectors in the bumper.